The History Center offers a wide variety of programs aimed at enhancing your understanding and appreciation of our local history: exhibits (both rotating and permanent), historical photos, educational programs and tours, the historical plaque program, and much, much more! The CBHCM is home to the Tillamook Rock Lighthouse Stamp and is a participating location in the USLHS Passport Program. The Lighthouse Passport Program provides enthusiasts the opportunity to help preserve lighthouses as well as a wonderful way to keep a pictorical history of their lighthouse adventures. Small donations can be made by Passport holders to our organization which can help with general operations. By joining the free Passport Club, you become part of a large group of individuals and families seeking unique Lighthouse Passport Stamps as a fun and educational activity. If you do not have a Passport Stamp book, the CBHCM has them available to purchase at the Museum or through the online gift shop. The Tillamook Rock Lighthouse Stamp is available to receive at the Museum during operational hours (11:00 a.m. – 4:00 p.m., Wednesday through Monday). If you happen to be in the area when the Museum is closed, you are welcome to either call (503-436-9301), email (info@cbhistory.org), or mail (P.O. Box 1005, Cannon Beach, OR 97110) to request a stamp, and we will gladly mail you the stamp per your request. 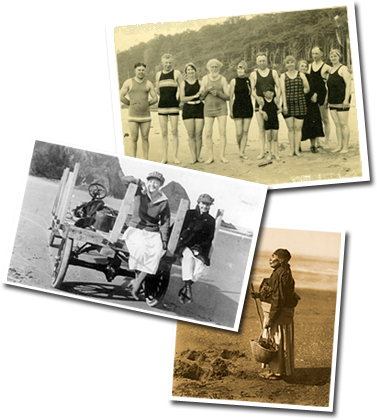 The History Center has a broad range of collections ranging from photos and artifacts to audio and video tapes by many people who reflect back in time on their experiences in the early years of Cannon Beach. Members and visitors are encouraged to visit the History Center and listen to these oral histories to learn more about the people and history of the area.